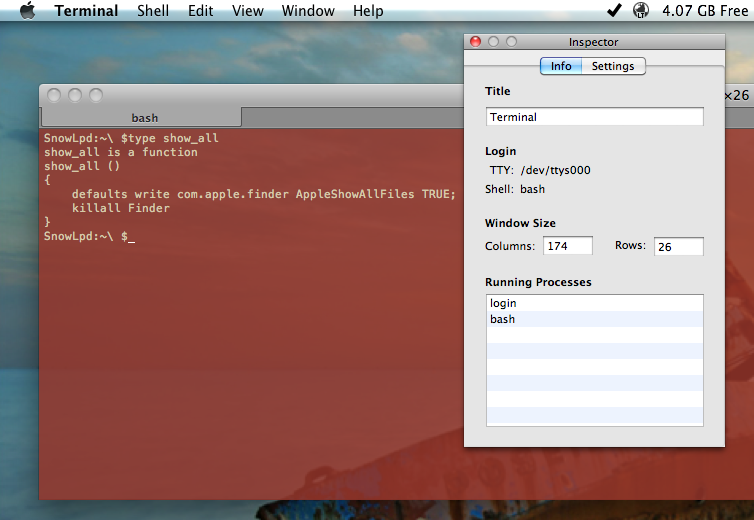 Posted on March 19, 2012, in Developer, OS X Lion, Snow Leopard, Terminal and tagged bash, chflags, defaults, emacs, exit, hidden, how to show, invisible, nohidden, reveal, show all files, terminal, write. Bookmark the permalink. 3 Comments. hey phila, this is probably very late but i was wondering if you could help me out with something? i worked corners and google’d almost everything i could think of but i cant seem to find a solution. in all honesty, i either got lost or made a slight error in doing this, and now everytime i open terminal, my hidden files show, no matter what. i just cant find what command will fix it. if you could reply, or email me, itd be greatly appreciated, just trying to fix this.